And the Oscar Confusion continues on in this the most confusing of years. With all eyes fixed on the unheard of crowd of very strong actress performances now all being jammed into the Best Actress category. Sez who? Why the HFPA! Of all people, the Hollywood Foreign Press, who hand out the Golden Globes this and every year. The one thing I can say about the HFPA is that they ARE press and do see all the many movies all the live-long year, as I do. I think that’s what makes them so sharp-seeming. They’ve seen’em all and so therefore the judgements are at least, we presume, informed. And their latest call is one which actually has some merit to it. Putting Alicia Vikander of “The Danish Girl” and Rooney Mara of “Carol” in the Best Leading Actress Drama category. This of course confuses all the pundits and this race particularly. But let’s face it, both Vikander and Mara ARE leading performances. They were trying to be squashed into the Supporting Actress category, which is now very bare indeed. But when the HFPA makes a ruling, they stick to it. And they consider Mara and Vikander as lead. Which knocks out quite a few ladies from contention. 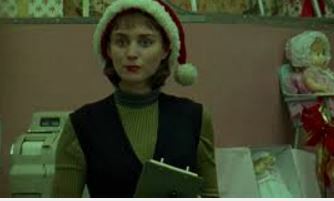 Especially as regards the love it/hate it lesbian movie “Carol.” You see it has two co-leads Mara, who won Best Actress at Cannes for this portrayal of a shop assistant/photographer, and Cate Blanchett as Carol herself, the glamorous housewife-in-minks. Rooney’s inclusion in lead just might knock co-star Blanchett out, and also, even worse, if they both get nominated in the same category they might cancel EACH OTHER out, splitting their own votes. Which is what I think is going to happen. IN that category I feel are Brie Larson for “Room” and Saorise Ronan in “Brooklyn.” I think they, Blanchett, Mara and Vikander are all going to get in to the race for the Golden Globes. It’s very unusual for the HFPA to make such a declaration ahead of the actual announcement of the nominees, but they’ve done it and now Focus Films(“Danish Girl”) and the Weinstein Co.(“Carol”) will have to abide by their decision. And you know what? I think that the Academy will, too. It’s unlike the Academy to put some one in Supporting who the GOLDEN GLOBES(oh the horror!) have designated as lead. I don’t think it’s EVER happened before. And I’ve described SIX ladies above^ and one of them is going to get left out when the Oscar nominations are announced in January. Larson, Ronan, Blanchett, Mara, Vikander and Lawrence. Who will the left-behind be? And there’s still Dame Maggie Smith glorioous as “The Lady in the Van” to be considered! And you can never underestimate Dame Maggie. You do so at your own risk. Stay tuned for even more category confusion, Oscar and otherwise, I’m so so sure!